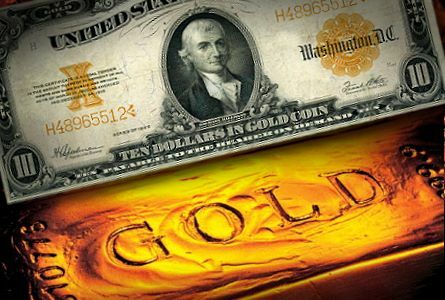 "While in the framework of the Bretton Woods system the dollar had some link to the gold and all the other currencies were based on the dollar, all that has now gone. In the floating framework there are no more limitations on money printing. According to Murray Rothbard: 'One virtue of fixed rates, especially under gold, but even to some extent under paper, is that they keep a check on national inflation by central banks. The virtue of fluctuating rates — that they prevent sudden monetary crises due to arbitrarily valued currencies — is a mixed blessing, because at least those crises provided a much-needed restraint on domestic inflation.' .. Through policies of coordination central banks maintain synchronized monetary pumping so as to keep the fluctuations in the rate of exchanges as stable as possible. Obviously in the process such policies set in motion a persistent process of impoverishment through consumption that is not backed up by the production of real wealth. Furthermore, within this framework if a country tries to take advantage and depreciate its currency by means of a relatively looser monetary stance this runs the risk that other countries will do the same. Consequently, the emergence of competitive devaluations is a sure way of destroying the market economy and plunging the world into a period of crisis. On this Mises wrote in Human Action - 'A general acceptance of the principles of the flexible standard must therefore result in a race between the nations to outbid one another. At the end of this competition is the complete destruction of all nations’ monetary systems.'"